Archibald Garrard Macleod (was known by Garrard Macleod and will be identified by Garrard in the following biography) was born on April 10, 1898 at the Garrard family farm in Twinsburg, Ohio to George Duncan Macleod and Minnie Eliza Garrard (birth certificate was issued out of Leavittsburg, Ohio). Garrard’s maternal Grandfather (Henry Harrison Garrard) was a carriage maker in Cleveland and the Garrard family had a farm in Twinsburg, Ohio. 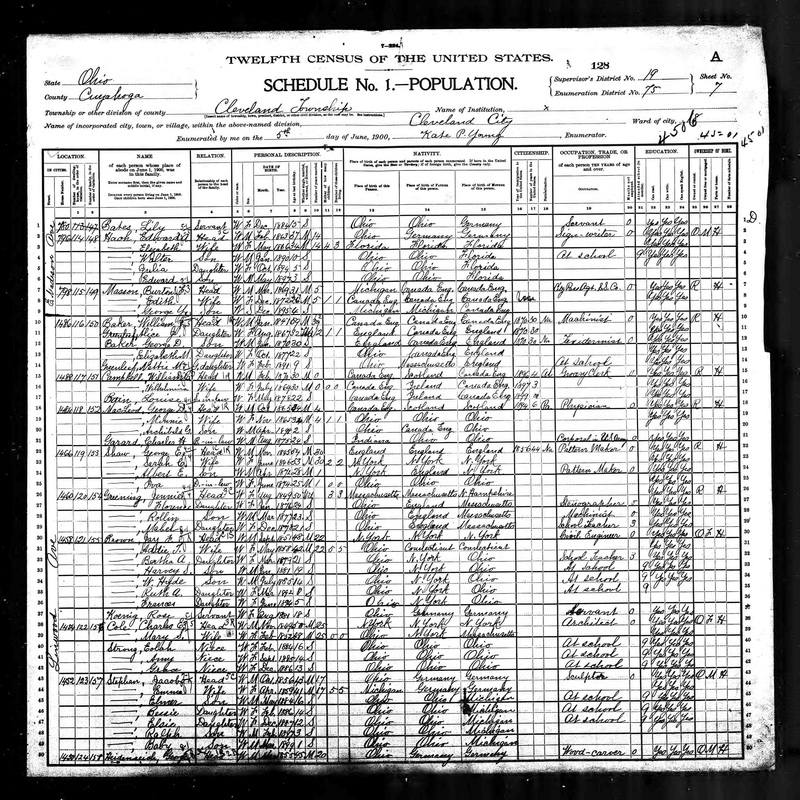 By 1900, George and Minnie Macleod were renting a house at 1484 Linwood Ave., Cleveland, Ohio [1900 census] and Minnie’s brother, Charles Garrard, a Corporal in the U.S. Army was living with them. 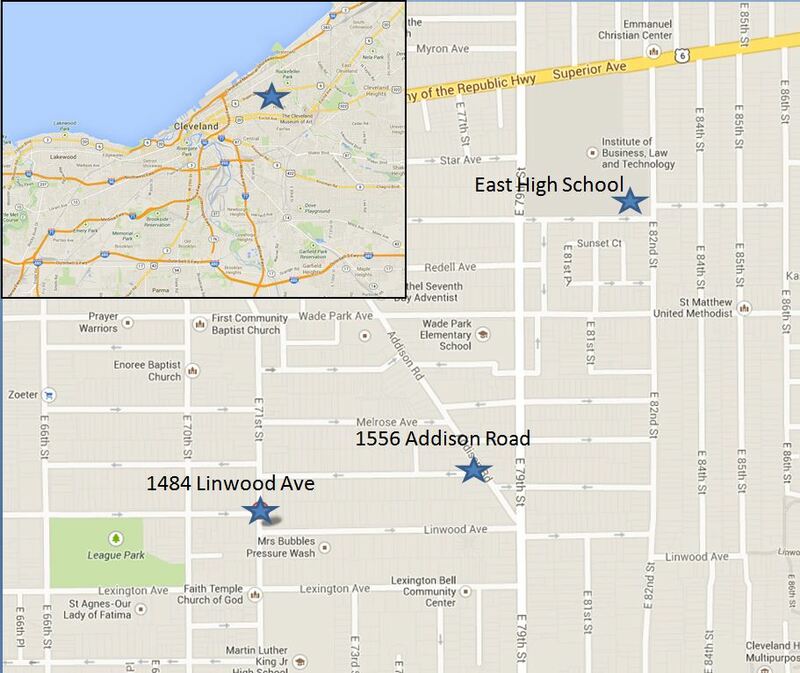 By 1910, George and Minnie had purchased a home at 1556 Addison Road N.E., Cleveland, Ohio. 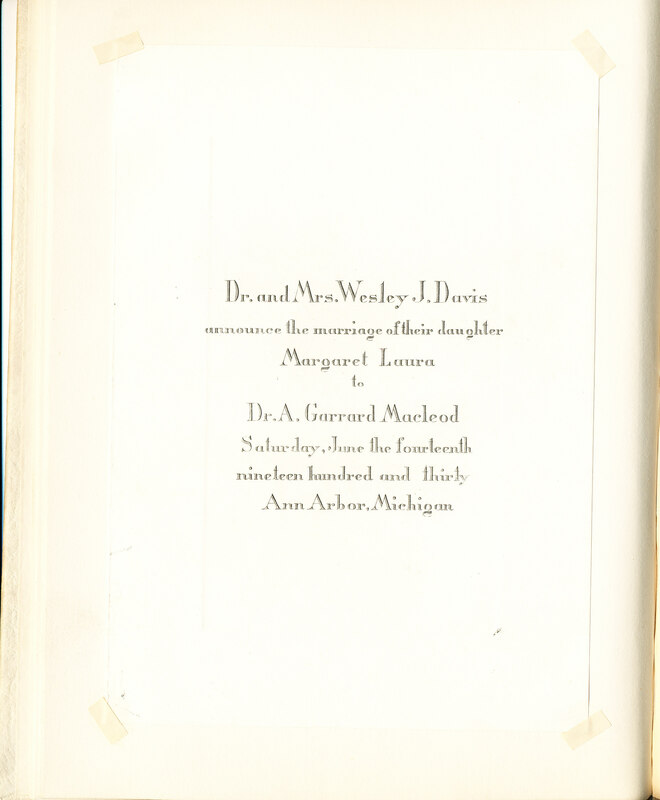 George’s sister, Mary, had emigrated from Orillia, Canada in 1897 and was living with them along with George Blair, a nephew of George Macleod, who was attending medical school at Western Reserve. 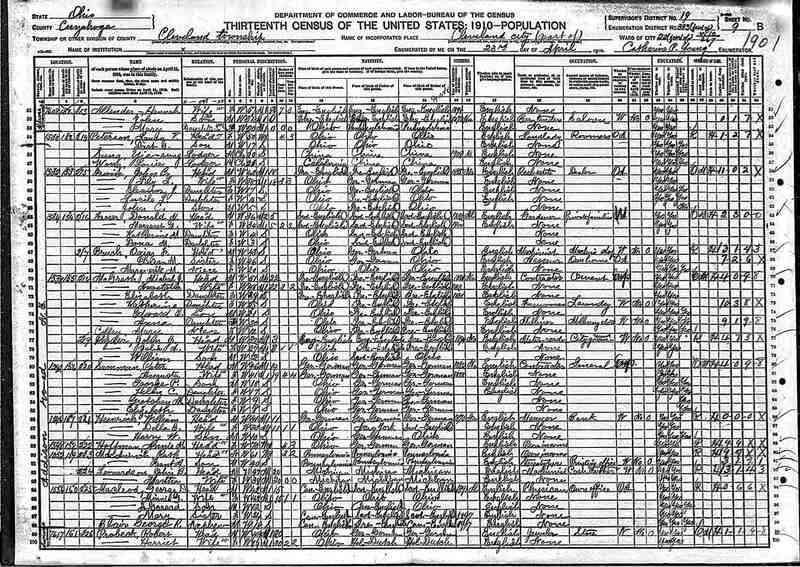 [1910 Census] Growing up, Garrard spent time at the Garrard’s Twinsburg farm as well as summer camping trips his father would take him on in the Algonquin Provincial Park with relatives from Orillia. 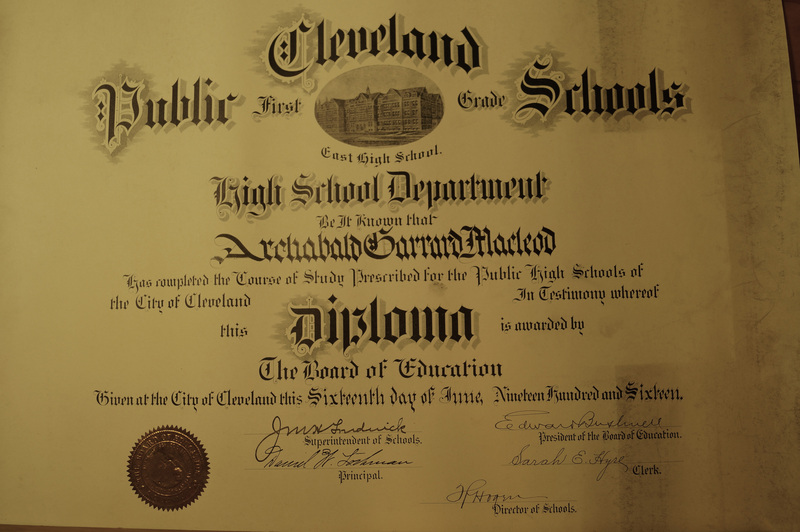 Garrard Macleod attended East High School (located on the corner of E 82nd Street and Decker Avenue, Cleveland, Ohio) from 1913 to 1916. 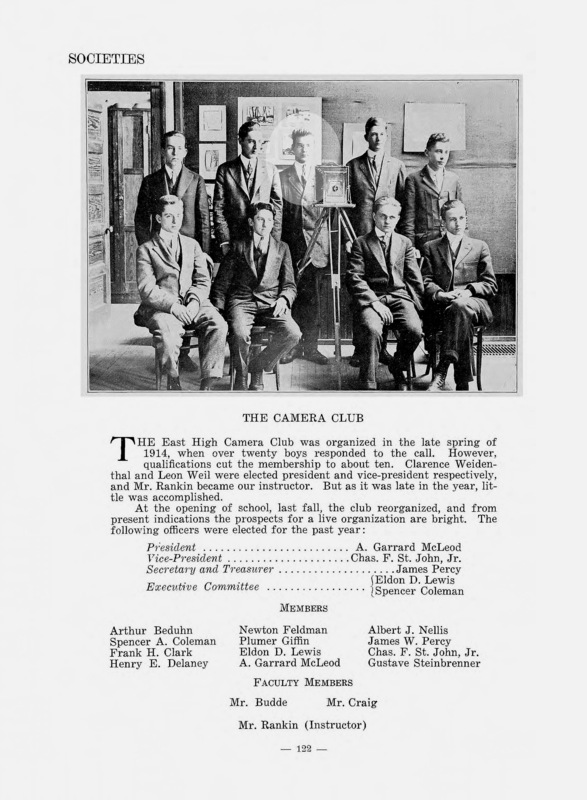 Garrard was president of the Camera Club in 1915 and 1916 and was Secretary of Prothymean in 1916. He graduated from East High School in 1916 . 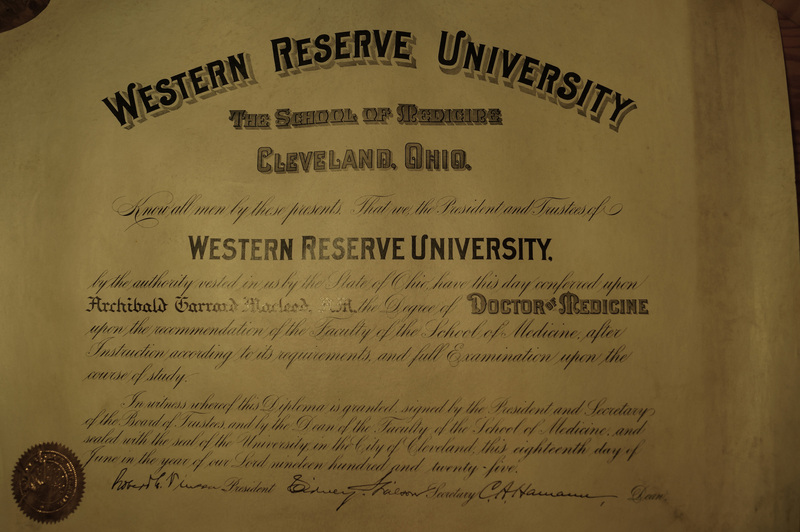 After high school, Garrard attended Western Reserve University and received a Bachelor of Arts degree in chemistry in 1920 . During this time he was also an instructor in Chemistry during the 1919-20 school year . 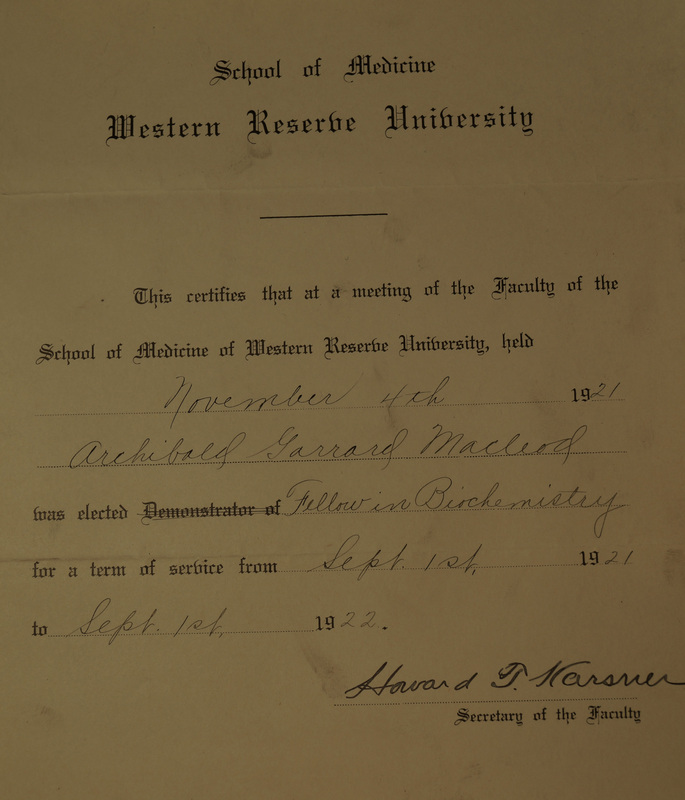 Garrard continued with his schooling at Western Reserve University and received his Master of Arts in Biochemistry . 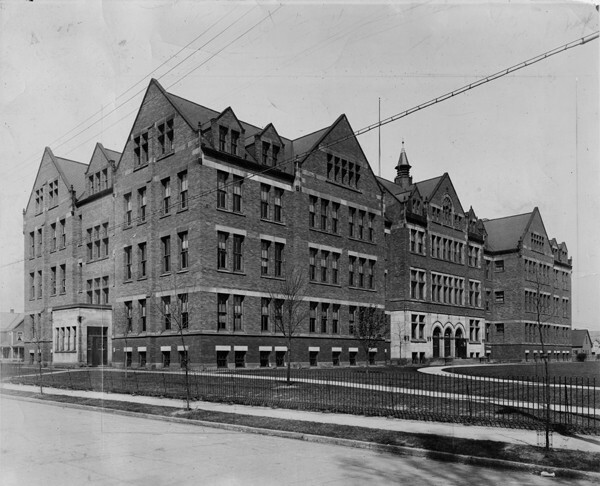 During that time he was a Demonstrator in Biochemistry  during the 1920-21 school year and Teaching Fellow in Biochemistry  during the 1921-22 school year. 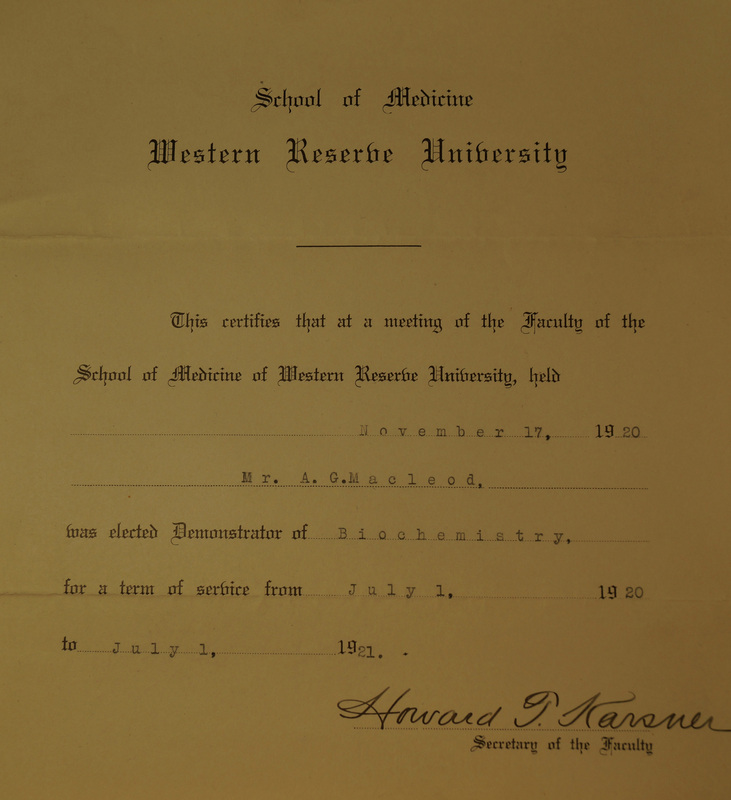 Garrard received his Medical Doctorate (M.D.) 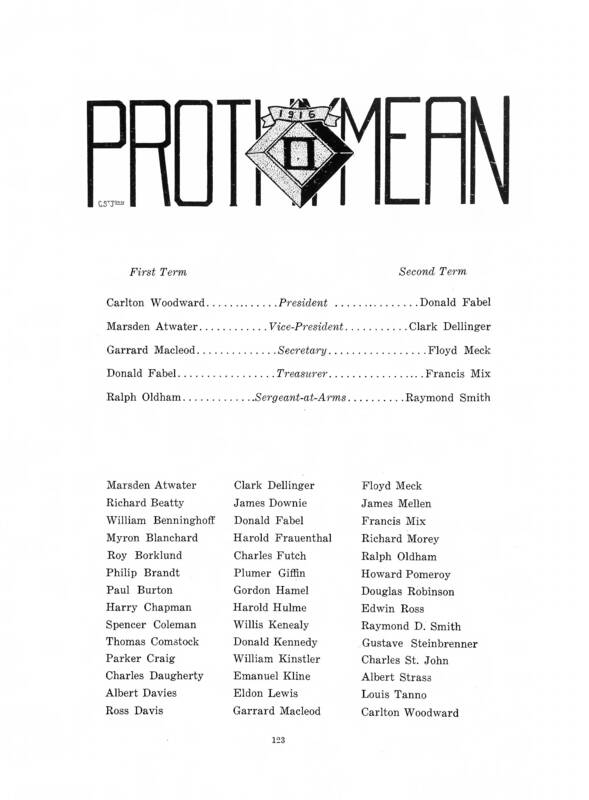 in 1925 from Western Reserve University [22, 22]. 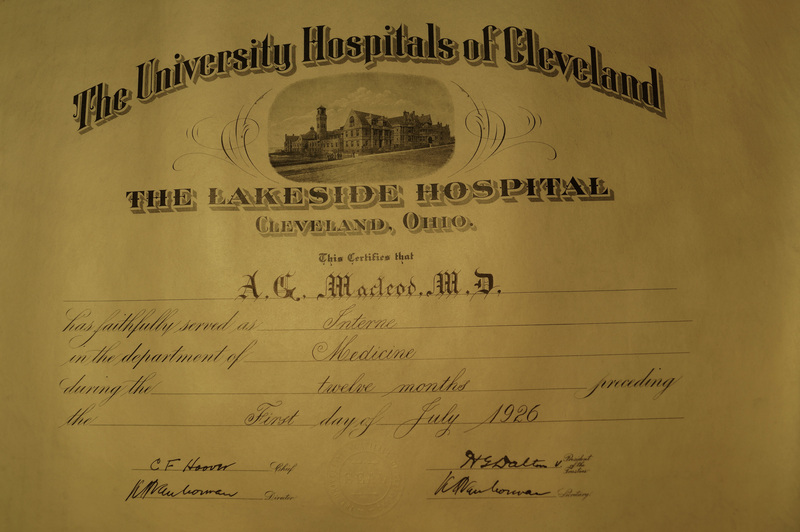 After graduating, he was an Intern at Lakeside Hospital in Cleveland from 1925-26 . 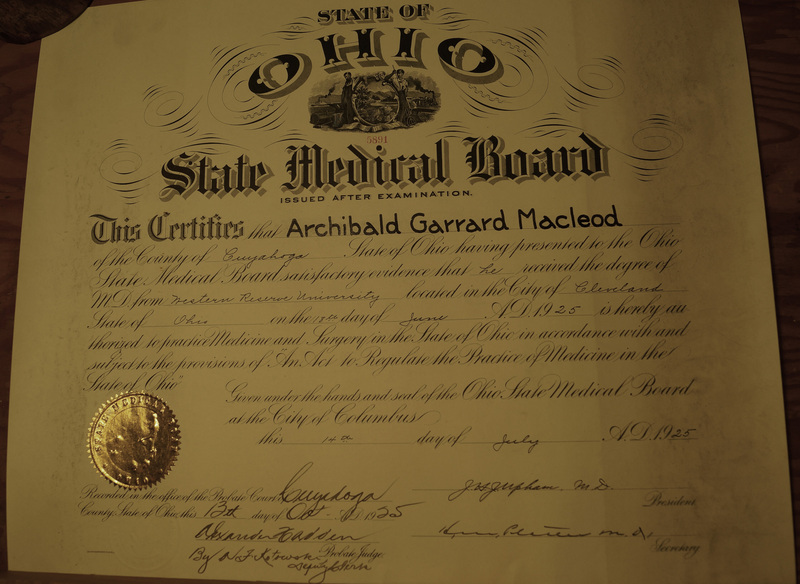 In the fall of 1926, Garrard became a Research Assistant in Cardiology at the University of Michigan and then was also an Instructor in Medicine starting in 1930 . 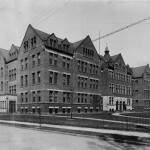 In 1932 Garrard left the University of Michigan and started a job as an Associate with the Rockefeller Institute for Medical Research in New York City . 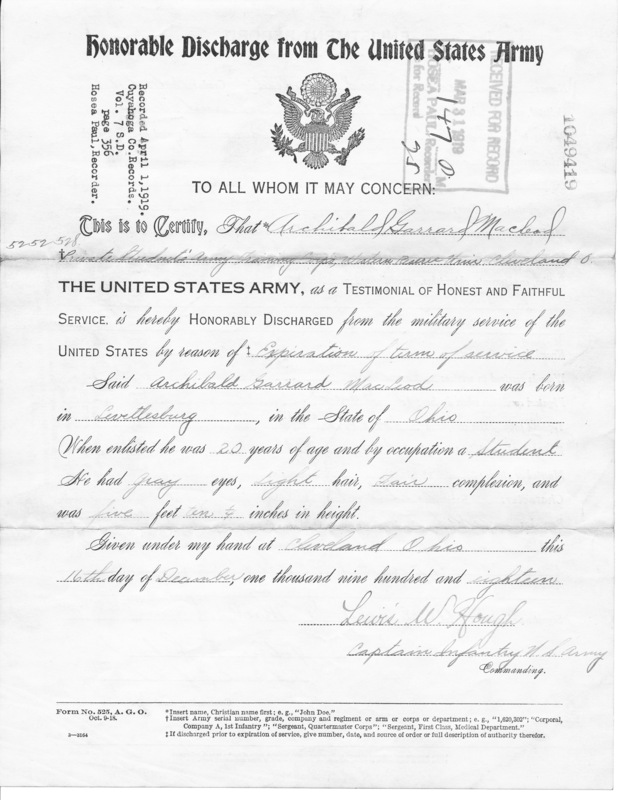 During his undergraduate degree, Garrard was inducted into the United States Army on October 24, 1918. 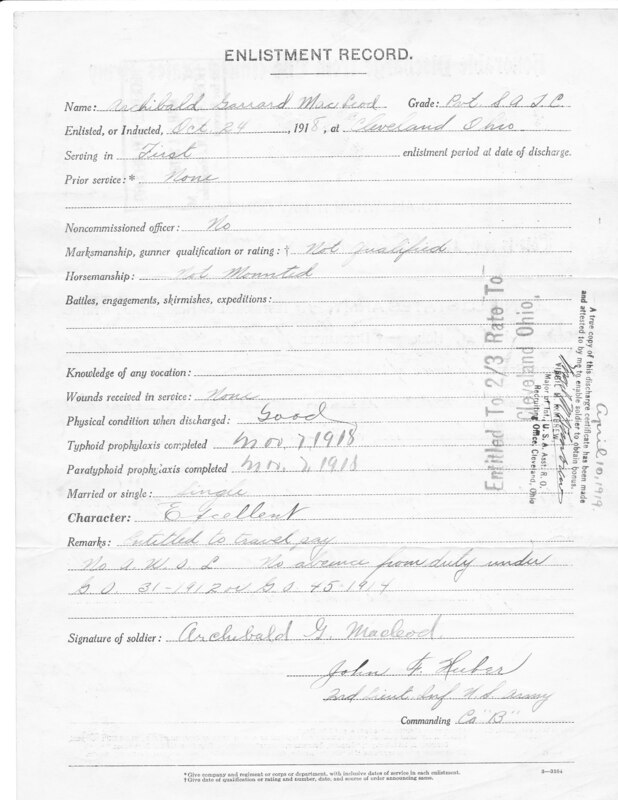 He was honorably discharged two months later on the 16th day of December, 1918 [21, 21]. 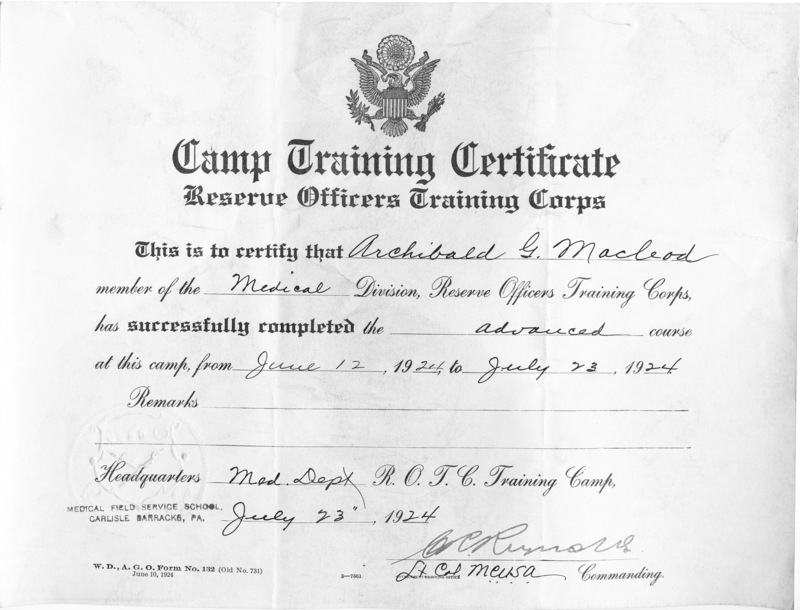 While working on his Medical degree, Garrard joined the Medical Division of the Reserve Officers Training Corps. 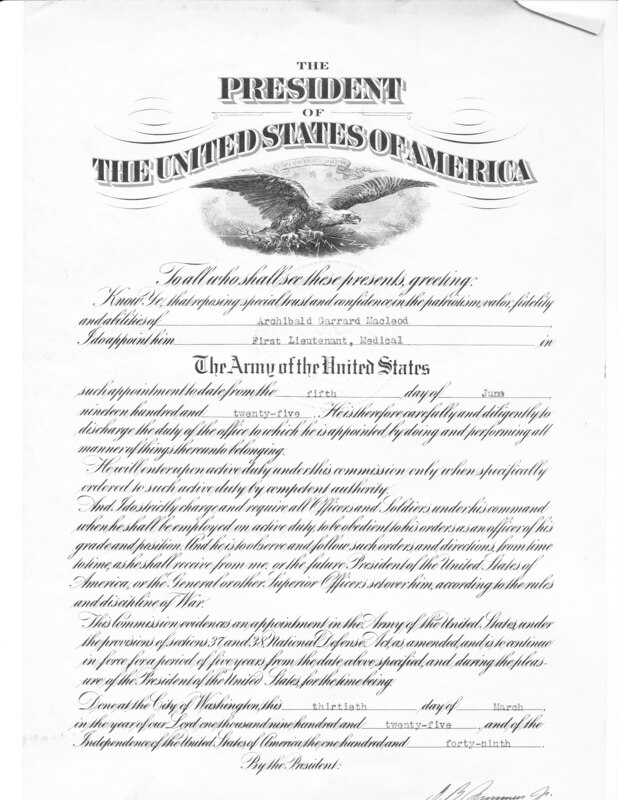 He completed the advanced course from June 12, 1924 to July 23, 1924 and became First Lieutenant, Medical in the United States Army [21, 21]. 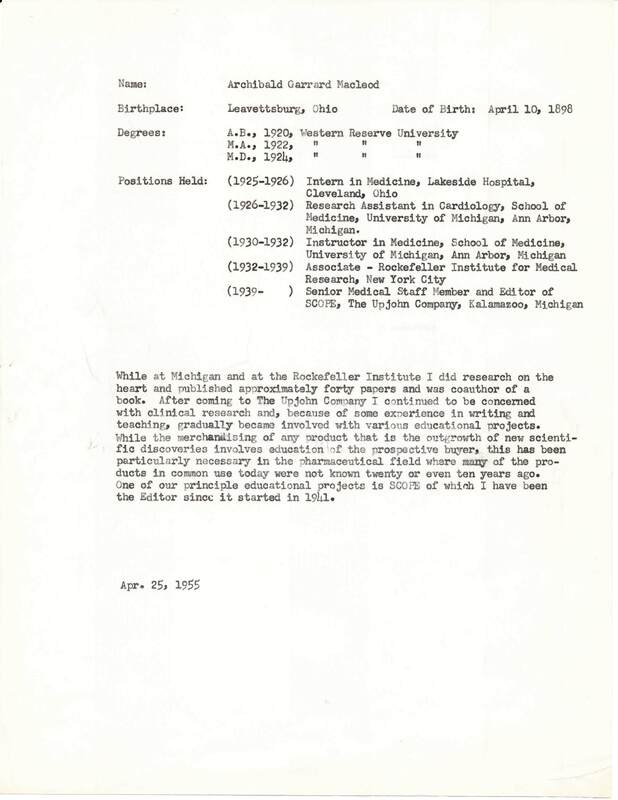 Margaret Laura Davis was attending University of Michigan’s Music school at the same time that Garrard Macleod was a Research Assistant at the University of Michigan. They met at Mrs. Van’s, a boarding house in Ann Arbor, where Margaret was living and Garrard took his meals. They were married June 14, 1930 . They had four sons (Garrard, Robert, David, George), all of whom were born in New York City. Garrard Macleod was an Associate at the Rockefeller Institute for Medical Research in New York City from 1932 to 1939. Previously, while at the University of Michigan, Garrard worked with Dr. Frank Wilson on the electrical responses that accompany the activity of the heart muscle. These observations constituted a new theory of the nature of the electrical response of heart muscle were published in a monograph. This research led Garrard to the Rockefeller Institute where he continued his research on the subject. 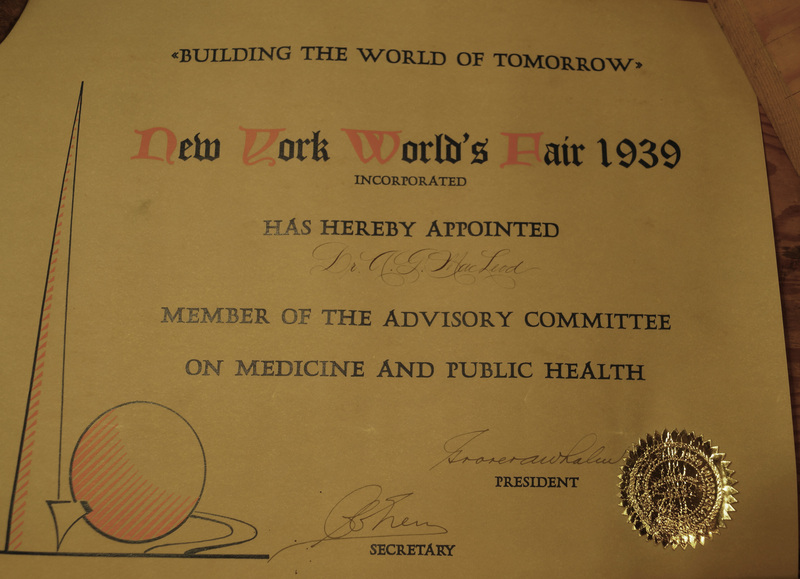 In 1939, Garrard was appointed to the Advisory Committee on Medicine and Public Health for the New York World’s Fair . 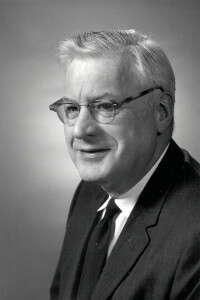 Garrard took a position with the Upjohn Company in 1939 as their Senior Medical Staff Member and Editor of SCOPE Magazine. 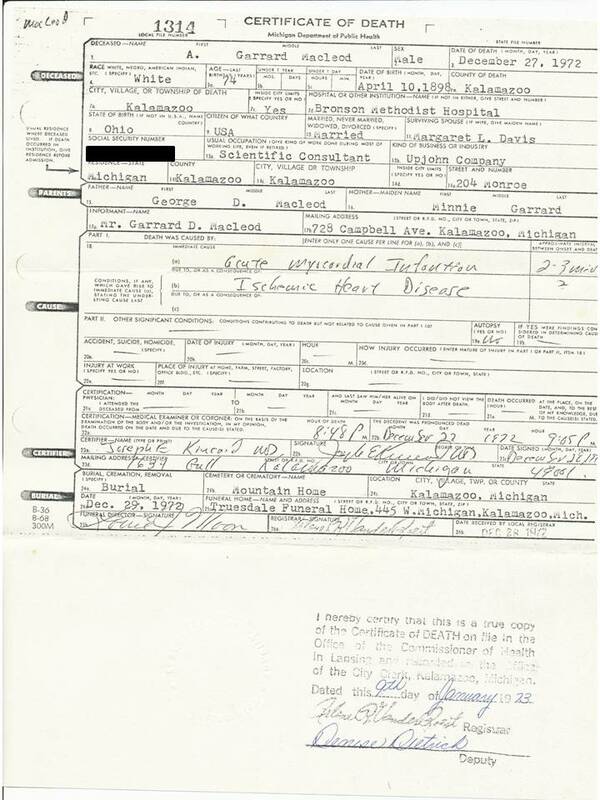 In January of 1966, Garrard became a consultant for Upjohn Company until his death in 1972. Many stories about Garrard’s time with the Upjohn Company are included in Larry Fites memoirs. From the East High School Annual 1915 (Cleveland, OH) A. Garrard Macleod is highlighted. 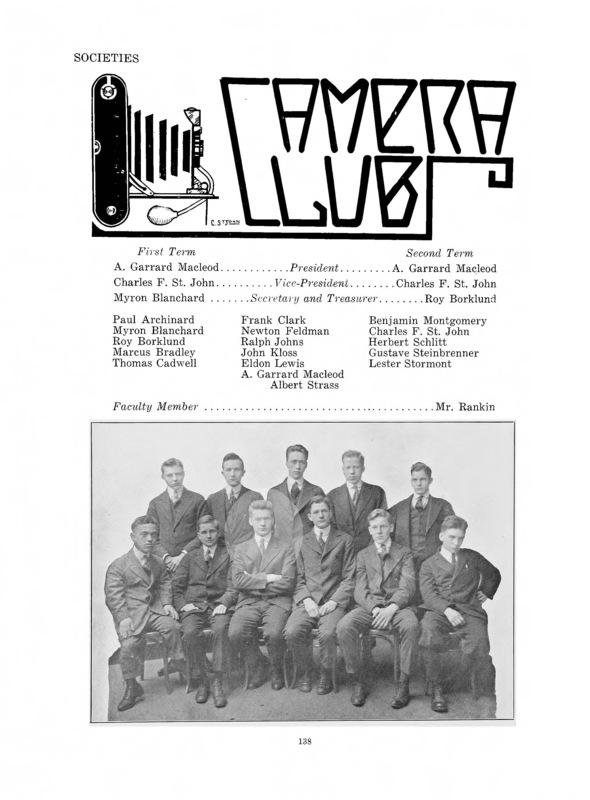 From the East High School Annual 1914 (Cleveland, OH). 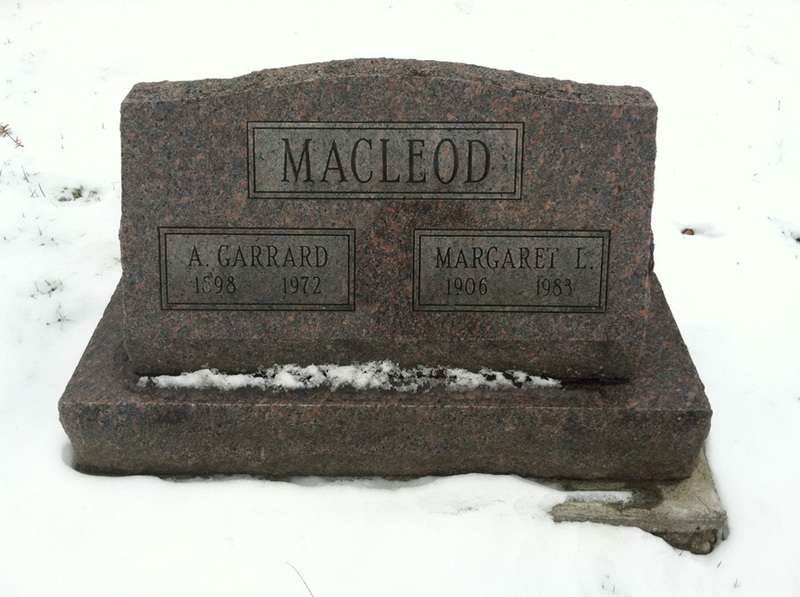 A. Garrard Macleod is highlighted.